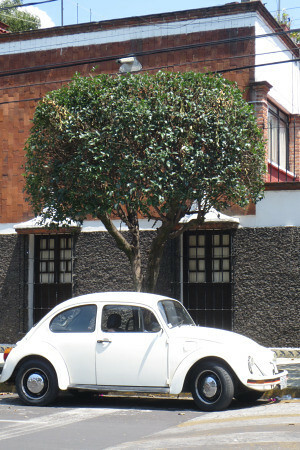 Culture shock, or lack thereof, is what I have experienced since I arrived in Mexico City. I do not feel like I am in another country. I left my apartment this morning to go to the mall. I grabbed Starbucks, used the ATM, and bought some groceries. Today I was also able to explore Coyoacán. 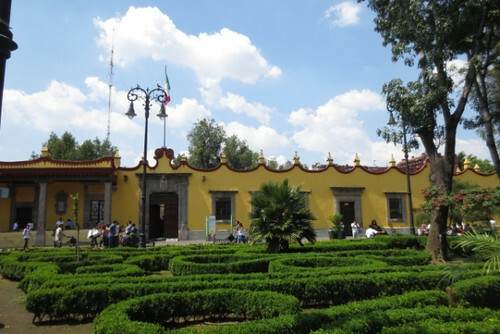 This is one of the southern districts of Mexico City. The name comes from the Aztec language. 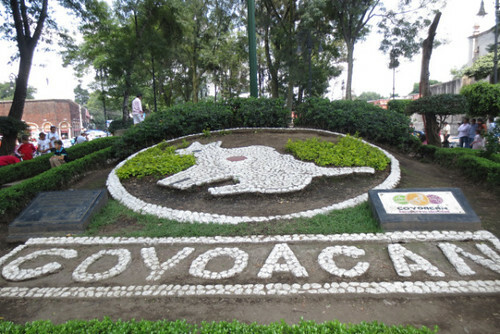 It means “place of the coyotes.” The city is also the birthplace of Frida Kahlo. She is a famous artist who revolutionized fashion and surreal art. She endured 22 surgeries for polio and a violent car accident where she spent much time alone recovering from surgery. Frida writes, “I paint myself because I am so often alone and because I am the subject I know best.” I went to Casa Azul today, which is where she was born and died. It was an amazing showcase of Kahlo’s artwork, artifacts from her house and statement fashion pieces. Her artwork is very thought-provoking and I was almost in tears reading about her life and how she overcame adversity. After the museum, I went walking around the town. There was a large festival in the park where artists were selling paintings, people were dancing to music and there were street vendors on every corner. It is a fantastic town. 🙂 What a wonderful weekend of exploring. Now I need to buckle down and prepare for week 2 of CELTA. Wish me luck!